Would you like to beautify your commercial property with a mural? Malden Arts will begin painting large scale murals on walls and fences along the Northern Strand Community Trail as soon as this Fall 2018. Please use the form to the right to submit a wall or fence location (along or near Northern Strand Community Trail, Malden, MA) for consideration for us to paint a mural as past of the ARTLine. Selected walls and fences will be reserved and paired with an approved muralist. 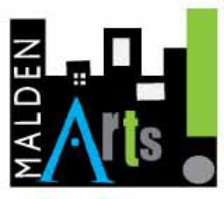 Malden Arts is currently seeking businesses to contribute canvases (exterior walls and fences) along and near the trail in Malden. Several of the large wall murals will feature artwork inspired by well-known artists, musicians, and writers who were born in Malden, as well as murals celebrating the old rail corridor and the Malden River which both run though Malden. The ARTLine will be funded through grants and public contributions with artwork installation done at no cost to building and fence owners. Submissions do not guarantee involvement in the ARTLine and will be kept on file for future consideration. We will get in touch as soon as possible.